When I was eighteen years old and had just finished high school in January 1944, I was drafted in to the Army. After basic training at Fort Hood, I became a member of the weapons platoon of a rifle company: B Company, 311th Regiment, Seventy-Eighth Infantry Division. 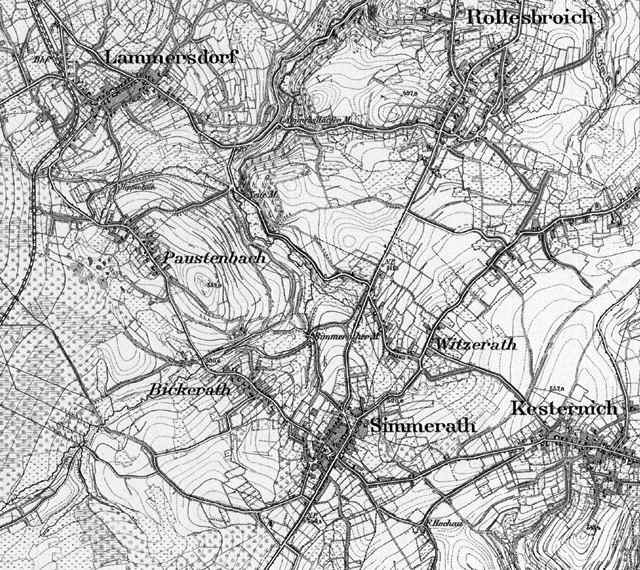 A plethora of information has been written about the bloody Hürtgen Forest and the Battle of the Bulge, but amongst the multitude of eximious and not so eximious historians, none have agreed that entering into fighting in the Hürtgen was not a mistake. The U.S. suffered over thirty-three thousand casualties in the five months of fighting in that fifty square miles of pure hell. How tough was it? I was there, and I was one of those casualties, but was never evacuated. As for the Bulge: the Seventy-Eighth anchored its northern flank. The Sixth SS Panzer Army was the most potent of the three German armies that fought in the Bulge. On December 13th, 1944, the Seventy-Eighth and Second Infantry Divisions jumped off in an attempt to capture the Roer River dams. Several towns were captured, including the road junction town of Simmerath. By doing so, it cut the supply line for the German Sixth SS Panzers, which ran from Düren through Simmerath. But in this attack a village called Kesternich, a mile east of Simmerath, was captured. However, a three-pronged armored counterattack by the Germans drove the Americans back to the western part of Kesternich. In that action, 549 of the 871 members of Second Battalion of our 310th Regiment were killed, wounded, or missing in action. On December 16, the Germans started what has been called the [Battle of the] Bulge. The Seventy-Eighth and Second Divisions were told to call off their attack, and for the Second to go south to help the Ninety-Ninth Infantry Division hold the line on Elsenborn Ridge. When the Second Infantry Division moved south, it left a gap of nine thousand yards, which the seven-hundred-man 102nd Cavalry was supposed to defend. The area included the town of Monschau. The Second and Seventy-Eighth attacks had the support of fifteen battalions of artillery, including the eight-inch guns of V Corps, which were firing from a position slightly southeast of Eupen, Belgium. 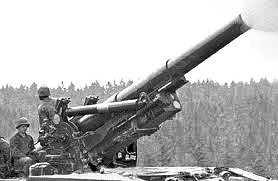 We were three miles northeast of Monschau, a primary German target, and could hear those big shells explode. The Germans were unsuccessful at Monschau, for their armored columns did not have sufficient infantry support. One of the units, the German 246th Division, was kept busy by the Seventy-Eighth and Eighth Infantry Divisions. One German general stated that the failure of Corps Monschau was one of the main causes of their defeat. The entire Sixth SS Panzer Army could have been hidden in the Hürtgen Forest. The Seventy-Eighth, Ninety-Ninth, and 106th Divisions were green troops (had never seen combat). The German plan could well have been a success had not it been for our being in the Hürtgen Forest, which resulted in the capture of Simmerath. That battle took place January 3-6, 1945, near Simmerath. From it we learned how to negate the effectiveness of fortifications of the Siegfried Line. After the Germans were pushed back to their original line of departure by January 28, we again went on the offensive on January 30. We had learned our lessons well. It took a mere hour and forty-five minutes to knock out thirty-two of their bunkers. 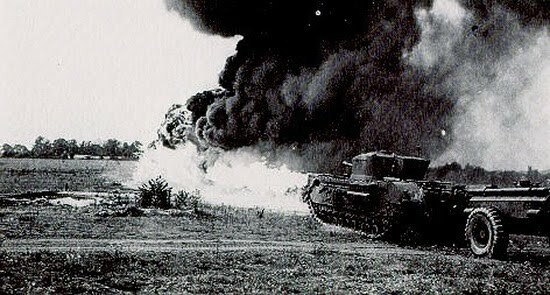 Flame-throwing British Crocodile tanks were of great help.